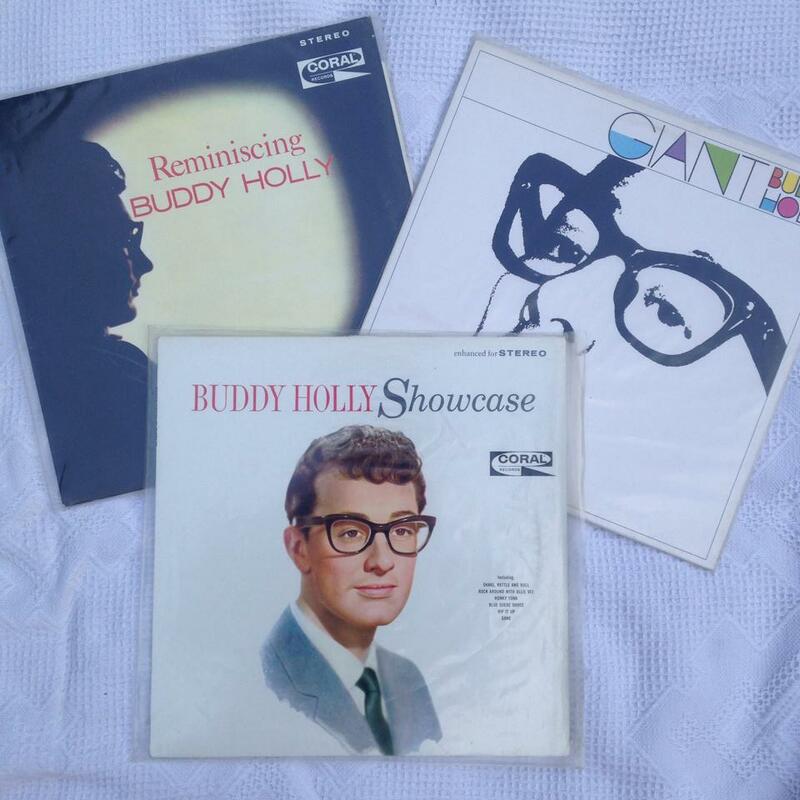 On 7th September 2016, late Rock ‘n’ Roll star Buddy Holly would have been 80 years old, had we not lost him at the age of 22 in the tragic accident of 3rd February 1959. 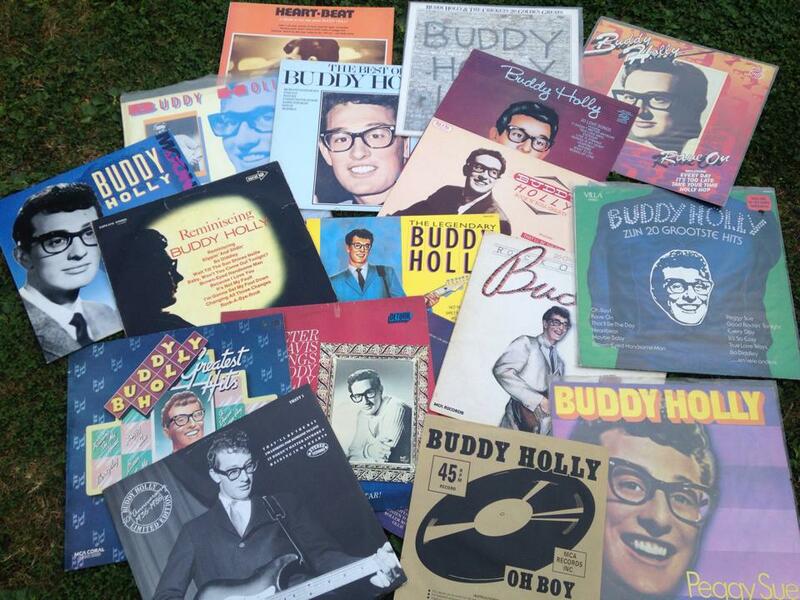 After reading & sharing sharing other people’s posts on social media all day, I thought it was finally time to pay my own tribute to the late, great Buddy Holly who has been a huge influence on my own life. 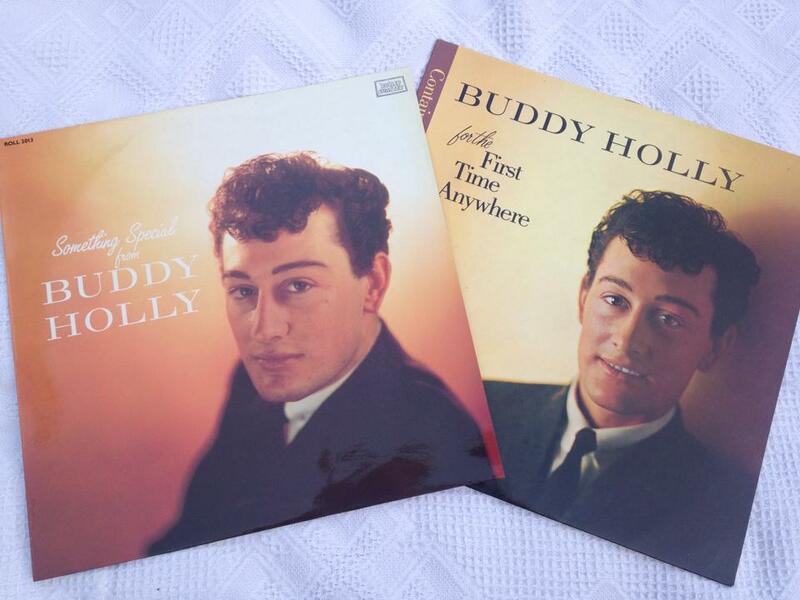 I was only about 8 at this time & would have been hard pushed to explain why, but I loved everything about the songs from Buddy’s voice & delivery to the evocative lyrics & general atmosphere. There was a simplicity in the lyrics that one could easily identify with, yet also an air of mystery emanating from the ’50s American terminology that I wasn’t yet fully familiar with but that added to the appeal – (‘the record hops & all the happy times we had, the soda shops, the walks to school now make me sad..’ from ‘What To Do’ ) I learned to play guitar about this time too & Holly tunes are perfect for that! My interest escalated and I remember being allowed to eat my tea in the living room as a special treat one (pre-video recorder) evening when ‘The Buddy Holly Story’ was on TV and being overjoyed to find John Goldrosen’s paperback at a carboot sale so I could actually find out the whole story, when all the info I had up to then was based on a few sketchy sleeve notes. As I got older & pocket money came my way I quickly snapped up the ‘Giant’, ‘Showcase’ & ‘Reminiscing’ reissues that you could get in Jarrold’s department store in Norwich in those (happy) days. 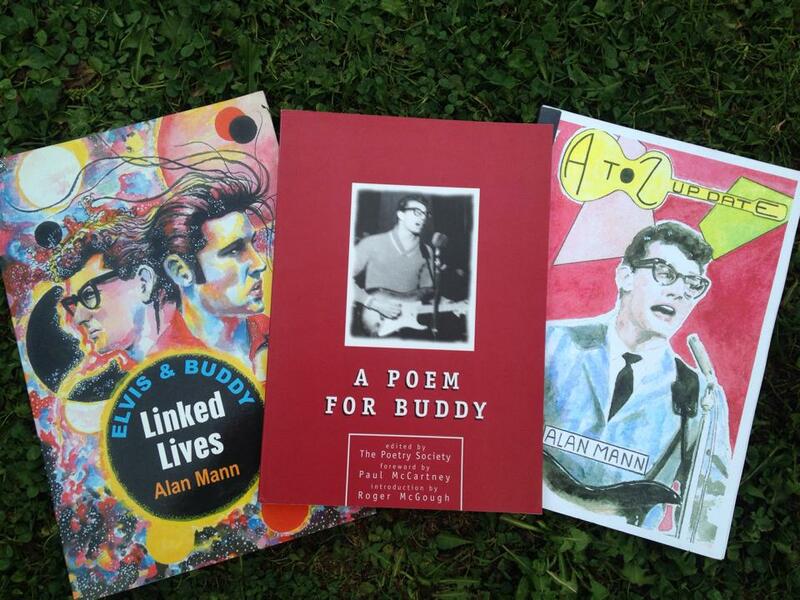 These 3 books are of particular interest; the 2 by Alan Mann (a personal friend) were illustrated by by husband Simon and I have a poem featured in the middle one! it was a competition run by mpl a good while ago & the winners were supposedly picked by Paul McCartney! 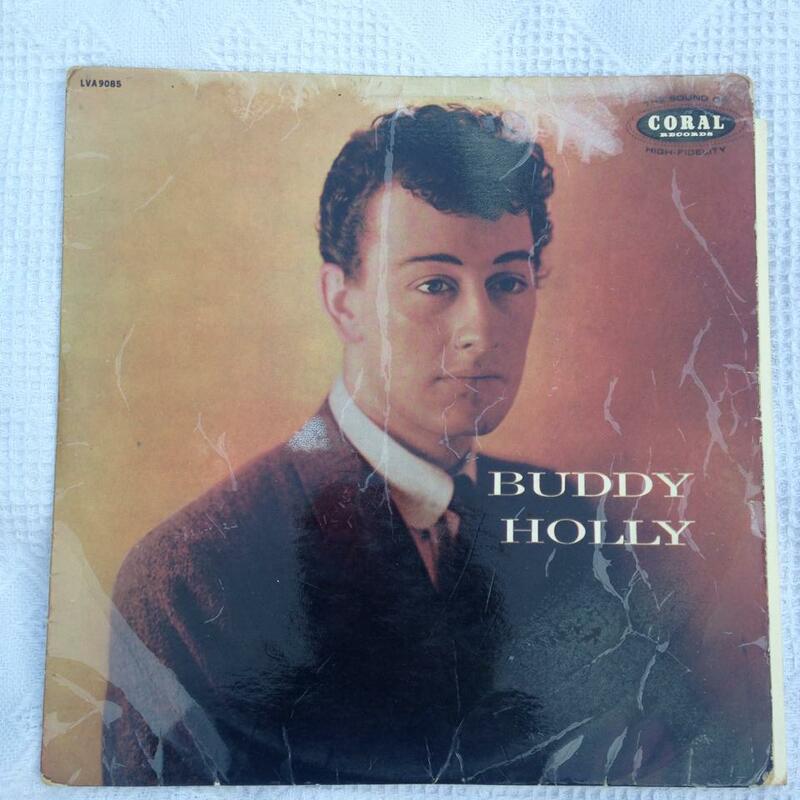 Highlights of my early recording collecting were picking up an original copy of Buddy’s first LP from Malcom’s record stall on Norwich market, (no doubt the most I had ever spent on a record which I believe caused my parents some brief concern until I suppose they realised there were worse things a young girl could be spending her money on) and being so excited to get home & play it with the knowledge that someone had actually played that same piece of vinyl in the ’50s! 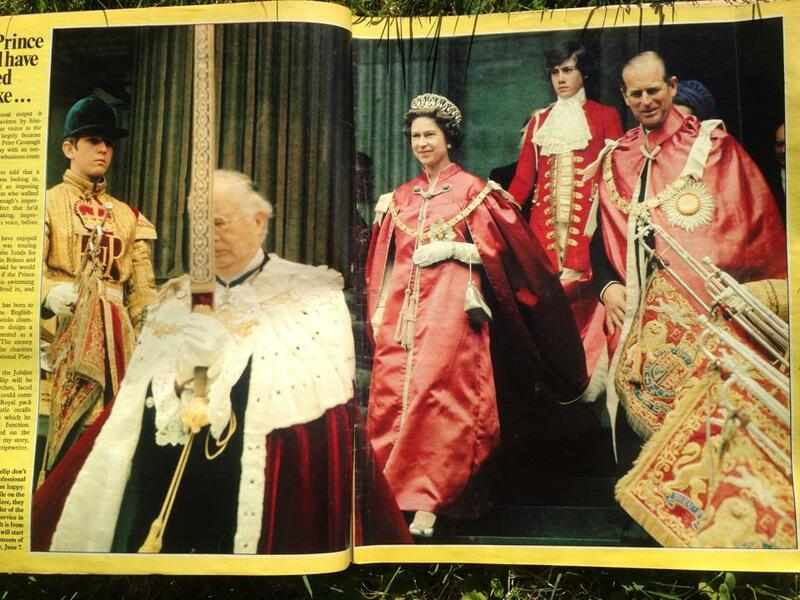 Not to mention the day I cycled home down the A1067 Fakenham Road from Great Witchingham wildlife park car-boot sale with a carrier bag of 78s swinging from my handlebars…. 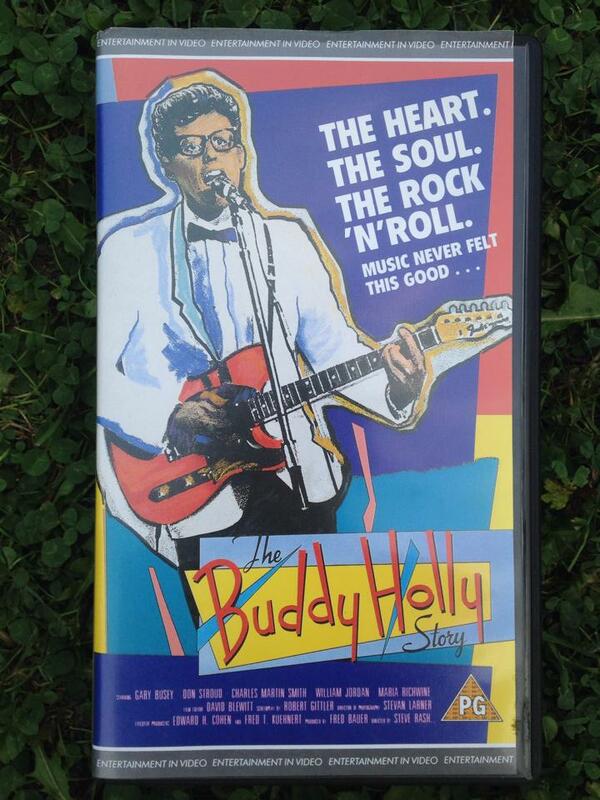 A bit later on ‘The Real Buddy Holly Story ‘ documentary video came with 2 cassettes & a licence plate…. 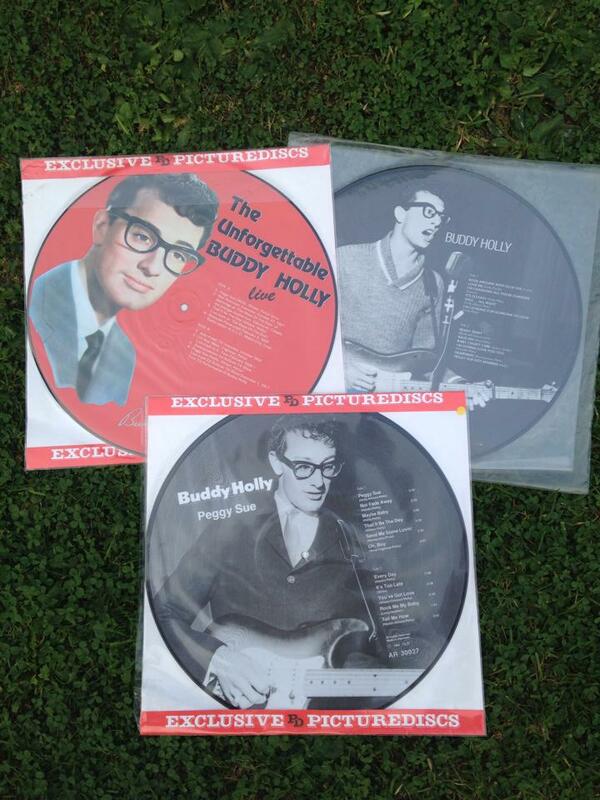 Memories of record collecting in the 1980s – Picture Discs! 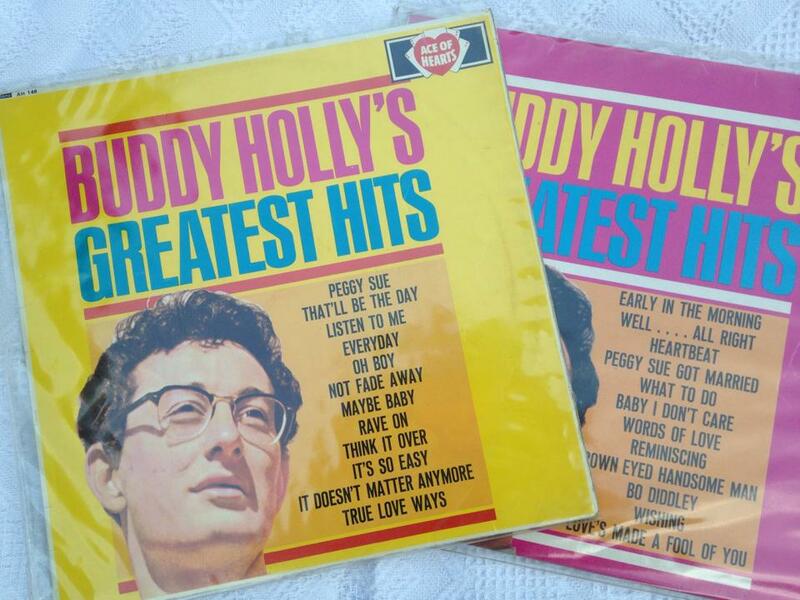 My taste & interest in music and pop culture has naturally become more diverse over the years but I have never lost my love for & fascination with Buddy Holly & his music, and those classic Norman Petty recordings still thrill me as much now as they did when I first discovered them, and I believe the sadness of his early demise has been greatly overshadowed by his huge legacy.